There are so many great family resorts that I'd love to go on and on about, and probably will at some point in another post. But for today, I'd like to highlight just a small few that I happen to love. I picked these properties based on what I have seen and experience in my own visits, but also based on the age groups I'm recommending. When most hear "family vacation" they think of parents and children of smaller ages, but the truth is a family can also be multi-generational or have adult children too. In order to find something for everyone, I've included a few great options for each age group below. Best For: Families with children 12 and under. Food-lovers and family members with food sensitivities. 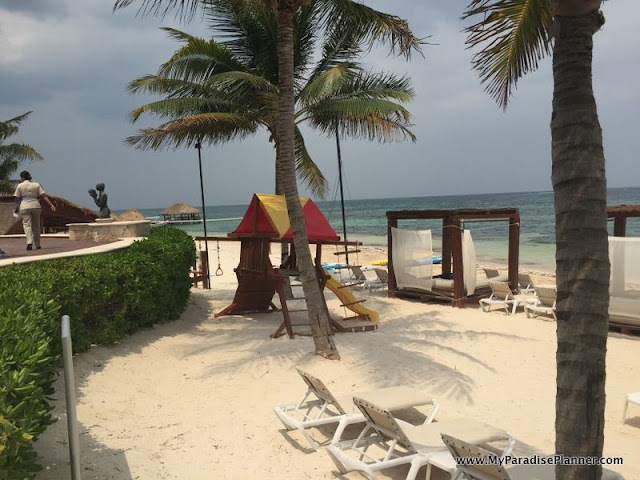 This family-friendly resort is set on a beach in Riviera Maya, a little under a half an hour from the Cancun airport. It has made it to one of our top five spots for many reasons, but one of the things we love most about this property is the short but sweet list of room options. Even the entry level room category comes with ocean and pool views. Most of the suites even offer the ability to walk from your patio into a shared pool spanning the length of the building. Imagine swimming three stories up? I think it's a pretty cool concept, and the views are great too! 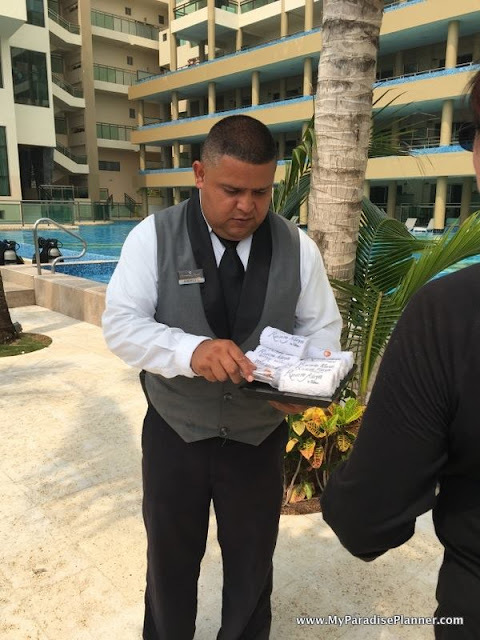 This is an all-butler resort, meaning any room category you book you'll be getting the resort butler service throughout your stay. No need to pack a ton of stuff for your little ones. Generations provides complimentary in-room amenities such as strollers, cribs, pack and plays, baby changing tables, monitors, baby bottle warmers, booster seats, step stools for the bathroom, plush toys, and mini-bathrobe and slippers. 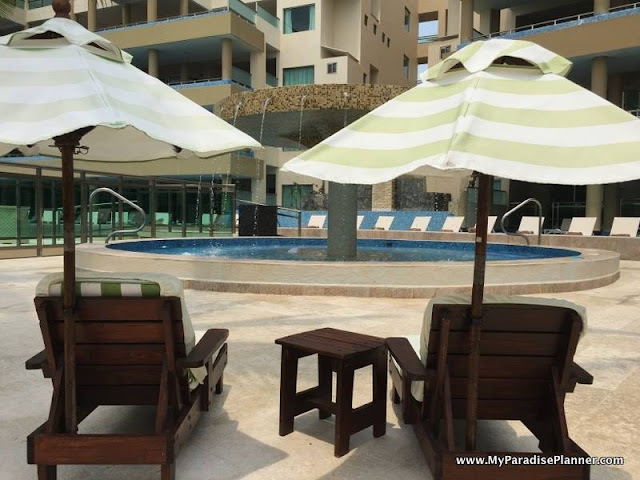 The resorts even offer miniature pool loungers made just for little ones, including umbrellas to shade them from the sun, and a kid-friendly shallow pool to enjoy. There is also a shaded play area on the beach complete with sand toys too. A complimentary award-winning Eko Kids Club for ages 4-12 including everything from a ball-pit to a movie area, craft station, library, gaming consoles and more. 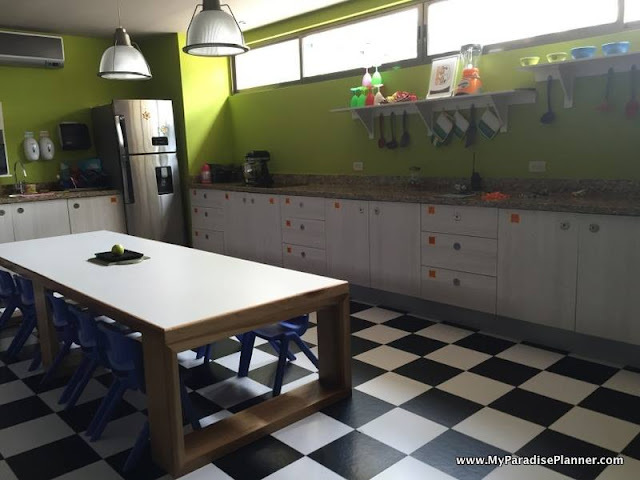 There is even organized (and highly supervised) cooking activities in the Kids Club kitchen. 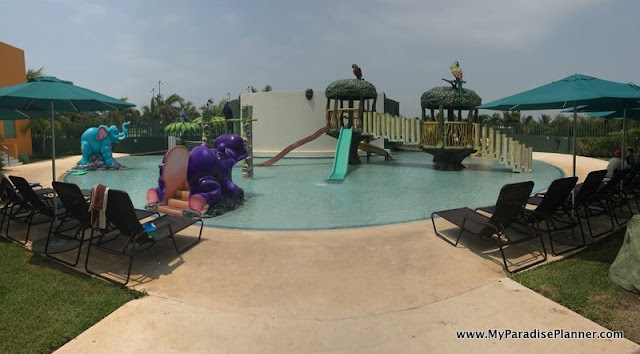 The resort also offers one, two and three bedroom suites for larger families or parents wanting a little more privacy from the kids. 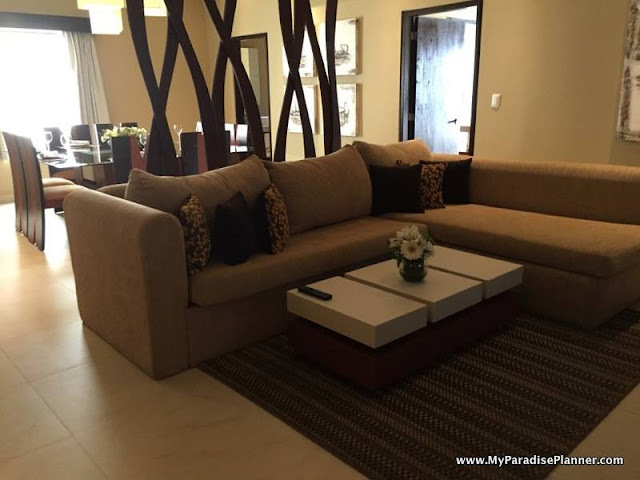 The suites come with a separate living room and the two and three bedroom suites come with a full kitchen and dinning room as well as a private infinity pool on the patio accessible only to the guests in that suite. My favorite feature of the master bedroom in the two and three bedroom suites? 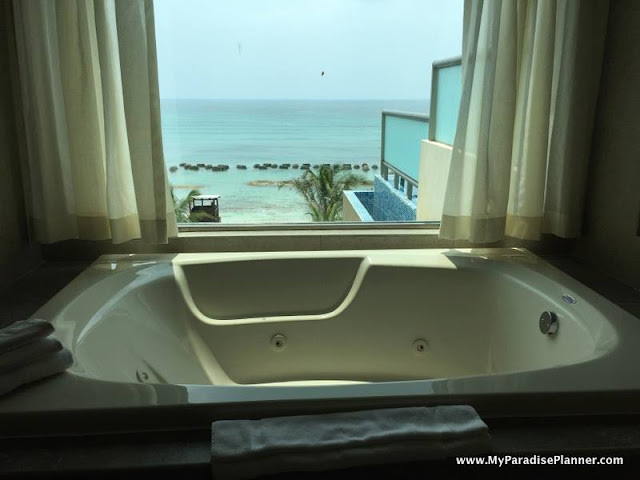 The outdoor (fully private) shower and the jacuzzi tub in the master bathroom, because parents need a vacation too! Generations is a Karisma Resort property, known for being "Gourmet Inclusive". While I was there I learned that much of their produce is freshly grown in their greenhouse on property. 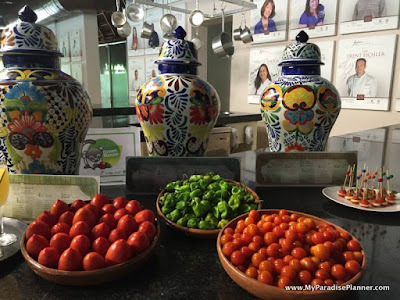 Our group taste-tested what you see in the photo below and you can absolutely taste the difference in the freshness between what is served there and at other resorts. 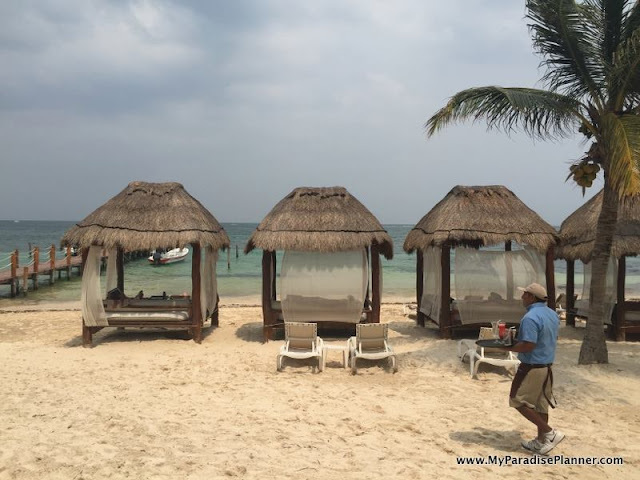 But the best part is, despite the 5 restaurants on the Generations property, there are also an additional 8 restaurants available to adult guests only at El Dorado Royale next door (there are complimentary golf cart shuttle transfers between the two properties). Best For: All ages, adults and children. Especially for families with infants or children with Autism. 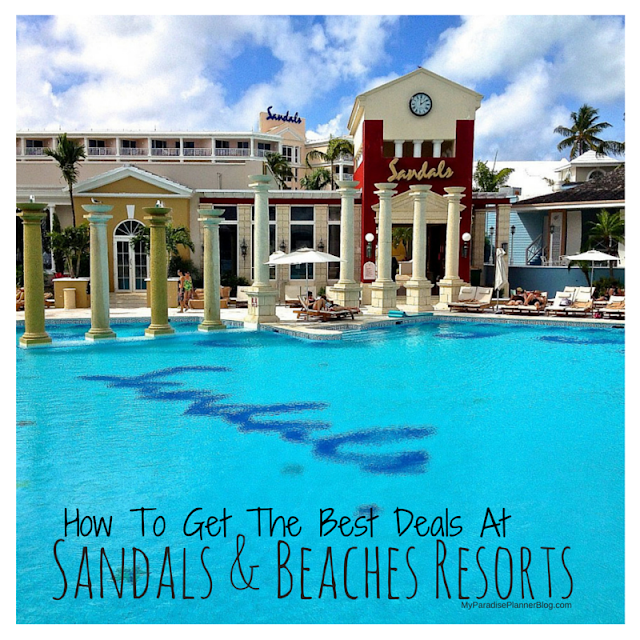 Beaches Resorts currently has three properties, two in Jamaica and one in Turks and Caicos. Of the three, Turks and Caicos is the biggest and our top pick of the three, followed closely by Beaches Negril and then Beaches Ocho Rios. Beaches is known for it's ability to please all age groups from those tiny tots to their grand and great-grand parents alike. 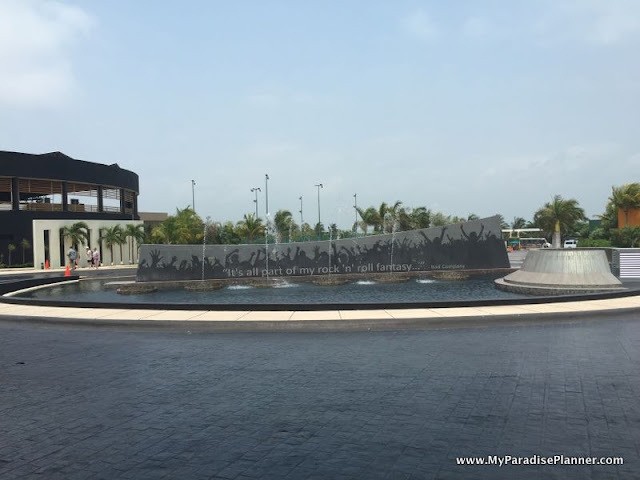 There is no shortage of things to do and memories to be made and it's the one family resort chain that offers more inclusions than any other resort on the planet. Beaches Resorts has also complete the rigorous IBCCES training and Autism Certification in order to become the Caribbean's first Autism Friendly Resort. For more information, click here. 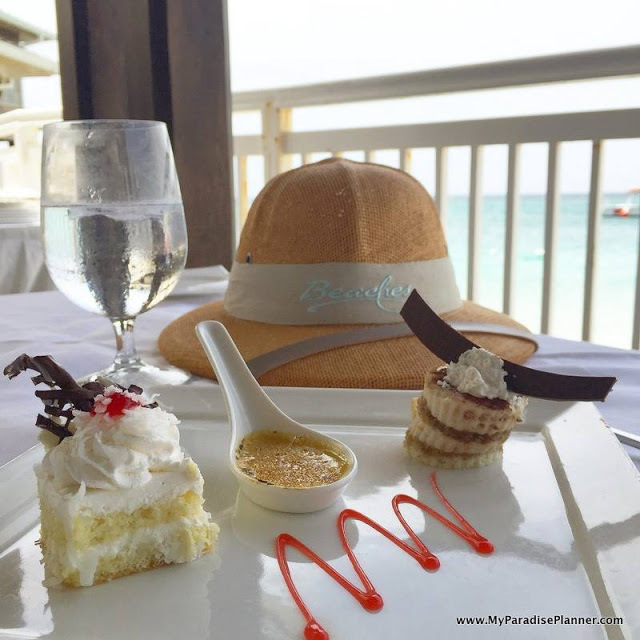 With 16 restaurants at Beaches Turks and Caicos, 9 at Beaches Negril, and 6 at Beaches Ocho Rios there is no shortage of amazing food options for guests. None of these restaurants cost anything extra and they range from Caribbean, French, Italian, Japanese, and more. 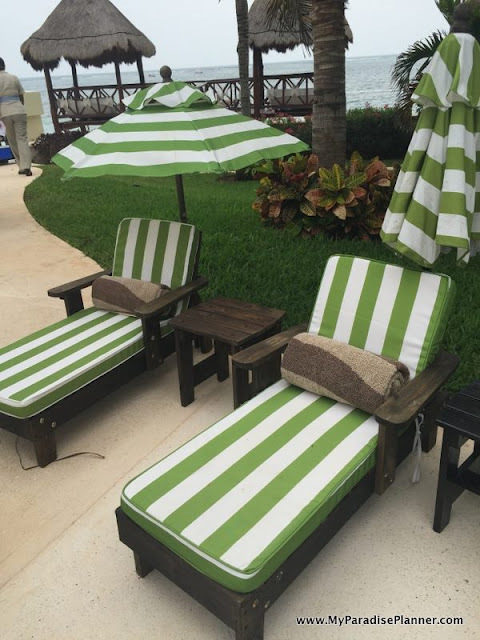 I love how these family resorts consider their smallest of guests by providing them kid-friendly furniture. 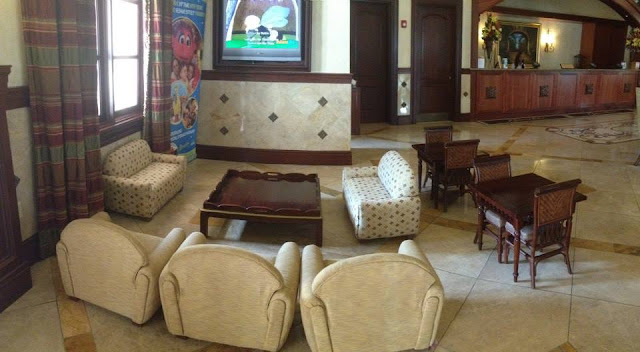 Here are a few small sofas and chairs available for the younger children to relax on while they wait for their parents to check-in. 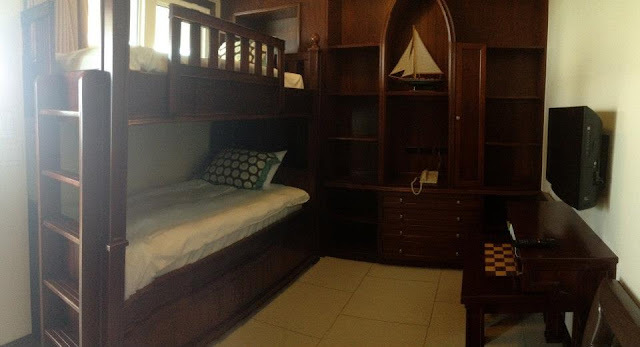 There are tons of room options at all of the properties, including anything from entry level basic rooms to suites, to suites offering a separate kids rooms with bunk beds (pictured below at Beaches Turks and Caicos), and even villas that hold up to four bedrooms and even private plunge pools (at Beaches Turks and Caicos). 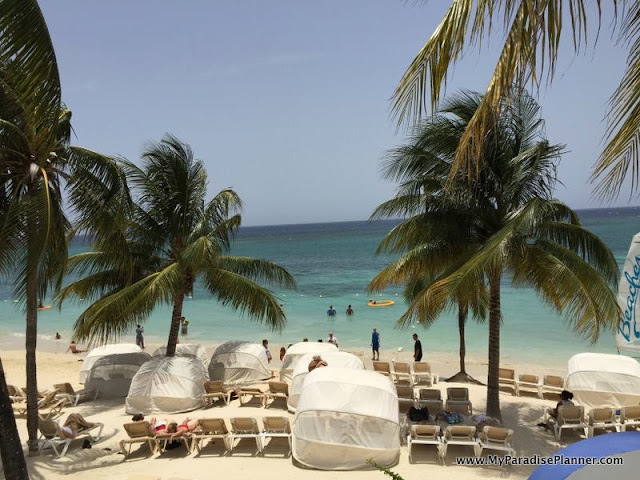 One thing that is important to mention is that at Beaches Ocho Rios entry level rooms hold five adults, which isn't common to find at many family resorts. Most families of that size end up needing a higher room category, so Beaches Ocho Rios is an excellent choice for families with two adults and three children looking to share a room without breaking the bank. Bored? There is no possible way you'll ever find yourself bored at Beaches. It doesn't matter how old you are, there is always something going on for everyone. If you're looking for some fun in the sun but are tired of lounging around the pool or beach, check out the complimentary waterpark featuring a lazy river, water slides, and even a surf simulator (at Beaches Turks and Caicos). The waterparks and anything in them are included at all three Beaches Resorts. One of the unique things about Beaches is that their kids clubs are open to all ages, including infants. Each club is geared for different age groups so your five year old won't be stuck in the same group as the ten year olds. Each child will be with kids their own age doing age-related activities. They are always supervised and looked after by the staff who are all trained and certified members of the International Nanny Association, another unique thing about Beaches. Nannies are also available to hire per hour for babysitting after the kids club closes should you need their services. 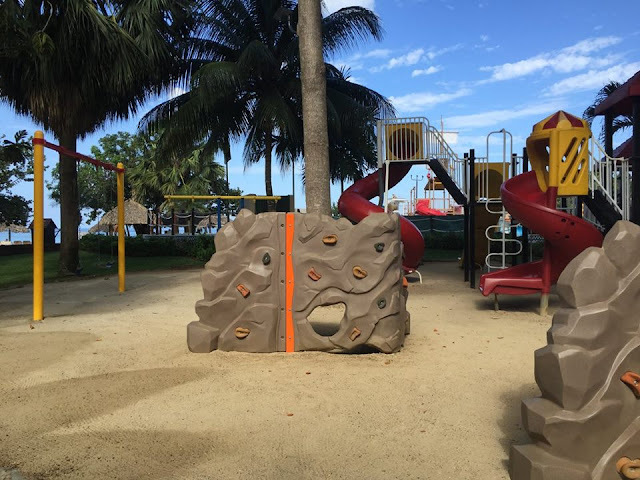 At Beaches Negril there is a lovely (shaded) park area in the sand for kids to use, complete with swings, slides, rock climbing walls, and more. 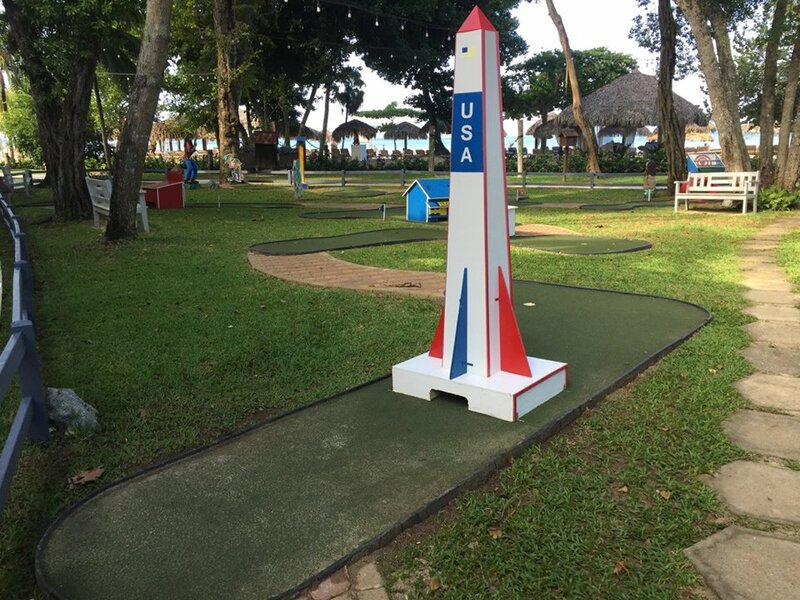 For more family fun, check out the mini-golf area at Beaches Negril too! Don't worry about your teenagers getting bored either. There are plenty of things for tweens and teens to enjoy including the teen-only "Club Liquid" night club, the Scratch DJ Academy, and the tween and teen lounges. The spa even offers treatments for kids now, so parents and kids can enjoy the full pampering of a resort vacation experience. 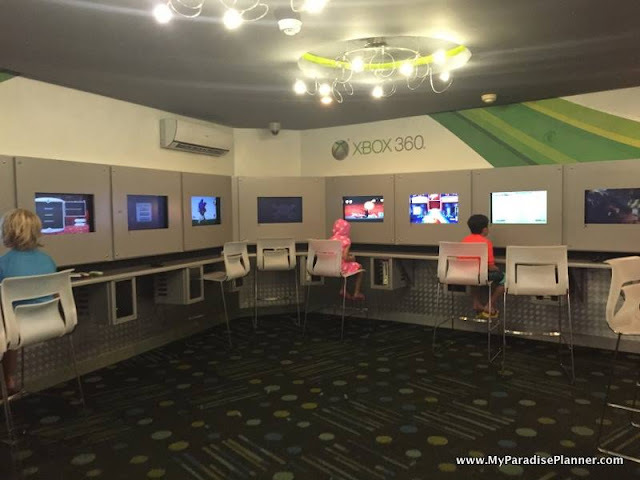 The whole family can head over to the XBox game garage and have plenty of gaming options to choose from including XBox Kinect games too. Kids won't feel left out at the swim-up bar either because they can swim up to their own bar that serves a variety of fruit drinks called "mocktails". 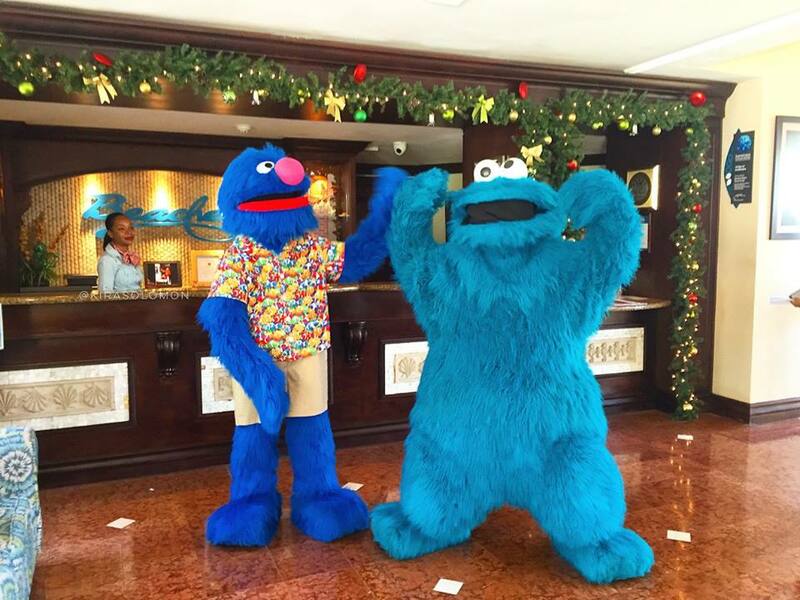 Thanks to a long-standing partnership with Sesame Street, you'll notices some of your favorite characters walking around property during the day. Kids can bake cookies with Cookie Monster in the kids club, bird watch with Big Bird, make number magic with The Count, and more. There is a resort parade once a week that children can help decorate floats for as well as march along side their favorite characters and the characters are even available to visit with you for lunch or breakfast if you're celebrating a special occasion or just because. At the end of a long day they can even have their favorite Sesame Street come tuck them into bed and read them a bed time story. It may cost a little extra, but it's worth the smiles (and the adorable photo op). Adults won't have to worry about what do to to occupy their time because there are tons of options for them too. The once a week beach party is fun for all ages, but don't be too shocked if your kids end up hanging with their friends, favorite nannies, and the Sesame Street crew instead of you. There is the Red Lane Spa to help you relax your mind and body. The gym offers workout classes. There are options for complimentary snorkeling excursions, and scuba diving is free if you're certified. Not certified? You can get resort certified on property. You can take out a kayak or sail on a hobie cat or enjoy any of the other water or land sports that are free to all guests. Book an excursions like the catamaran cruises that take you to explore local places like Iguana Island (Turks and Caicos) or Dunn's River Falls (Ocho Rios, Jamaica). Or if you just want to enjoy each other's company, send the kids to the kids camp and know that your choices are endless. Most parents come home form a Beaches vacation feeling as if they've had a second honeymoon! Kids? What kids? Best For: Families with younger children looking for more resort locations than Generations. 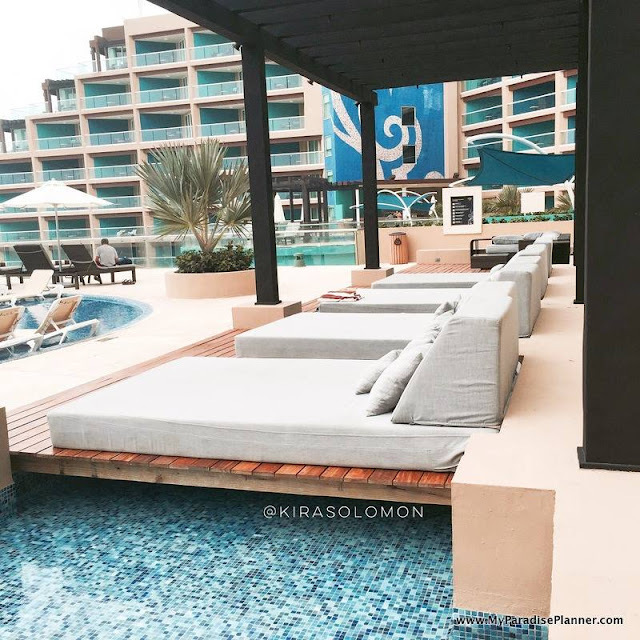 Much like Generations Resorts, Azul Resorts are also part of the Karisma parent company, therefore you'll see much of the same inclusions with Azul that are mentioned above with Generations. The best part about Azul is they aren't limited to Mexico. There is also an Azul in Negril, Jamaica as well, opening up the possibilities for destinations. Again, Karisma knows how to tug at our heartstrings with these adorable sun loungers for the younger kids. I wish these were around when I was kids. Mid-day snacks? 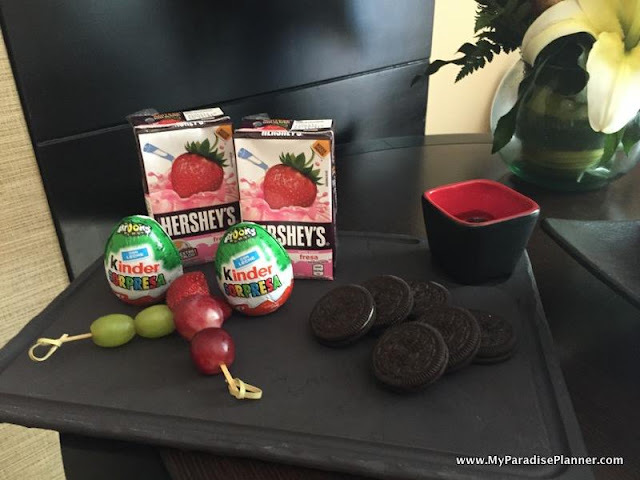 You can have them delivered to the room anything from sweets to fruits and veggies. All you have to do is ask. 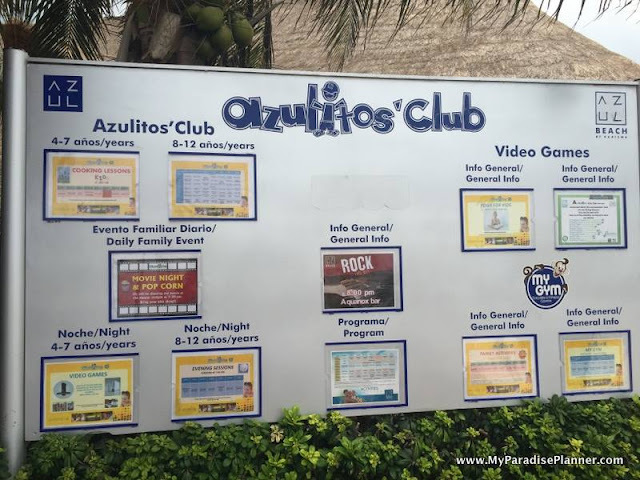 Azulitos Club for the kids is packed with activities daily to keep kids ages 4-12 entertained. No need to pack the heavy items. Azul has you covered. 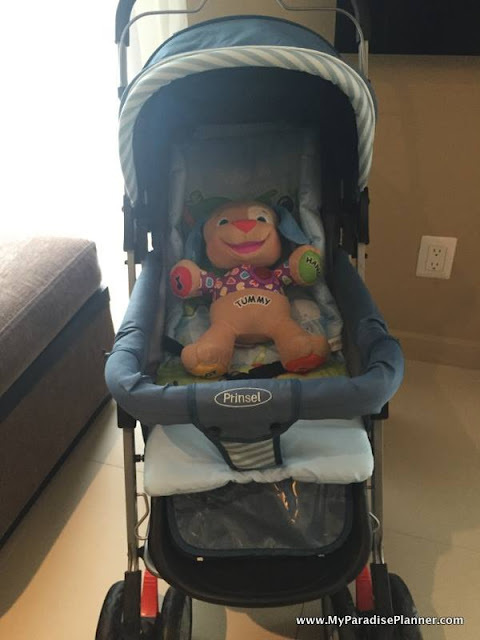 Strollers, cribs, pack and plays, baby changing tables, monitors, baby bottle warmers, booster seats, step stools for the bathroom, plush toys, and mini-bathrobe and slippers are all available to families with age-appropriate children. The beach isn't just where the adults go to play, there are also designated play areas for the children too, including sand toys too. 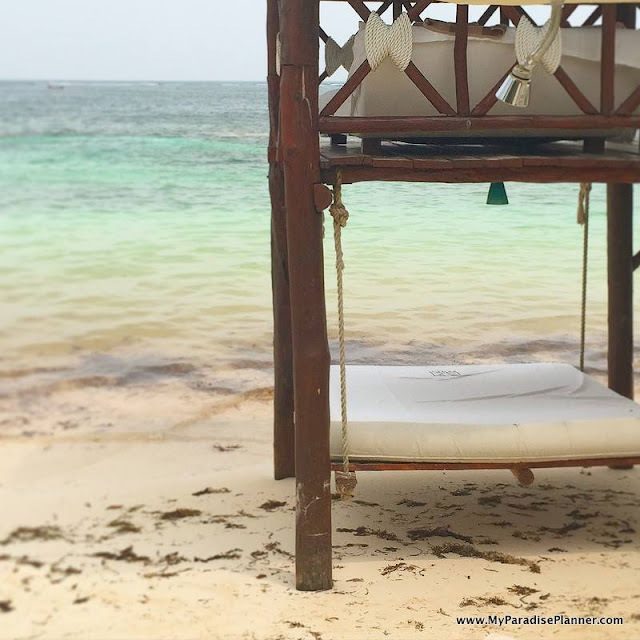 Sure it looks like fun to kids, but this is the perfect example of a grown up fort... one of my favorite features at Azul Beach in Mexico. I could spend a whole day hanging around here. Best For: Families with older or adult children. Parents with younger kids who are looking for a fun adult-atmosphere that offers a kids club to keep their children entertained. I'll admit it, I'm a Hard Rock fan. Mostly because music a passion of mine, and being surrounded by all that music history while I'm on vacation is a music-lovers dream. If your children appreciate music, they'll love Hard Rock for more than just a resort, but for a resort vacation experience that it is. Despite the Hard Rock having a family-friendly section, I'm mainly recommending this property as a great option for families with children who aren't kids anymore. Maybe you want one last getaway together before they go off to college, or maybe you want a post-college celebratory trip, or an adult's only getaway before the grandkids come. Either way, Hard Rock offers a great option for the older crowd. 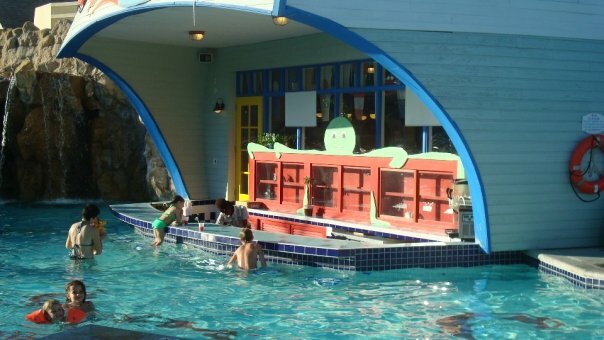 Younger kids can still find this resort chain to be a lot of fun. 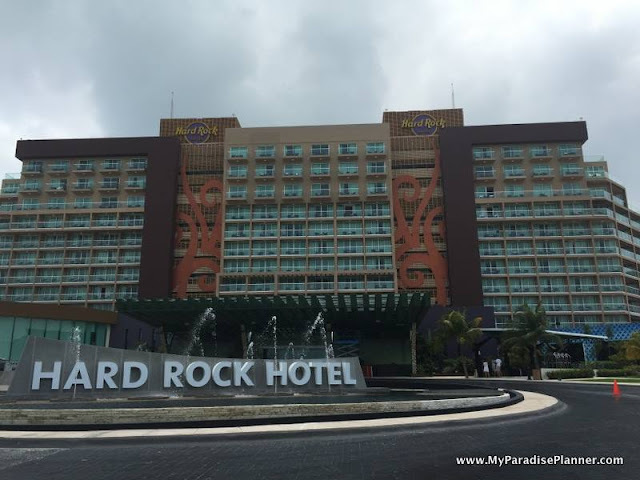 Out of all of the kids camps I've toured at various resorts, the Hard Rock Cancun one was one of my top favorites because of the sheer size and openness of it all. There was even a kids pool area as well as a separate play rooms with themes such as "princess tea party" and "Barney and Friends". There was even a kitchen/lunchroom in the kids club too, so kids didn't have to venture far for their mid-day meals and snacks. 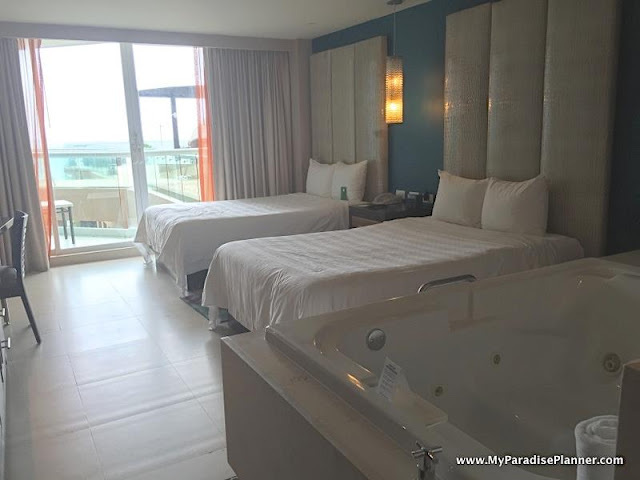 The suites are spacious but one of my favorite features of the Hard Rock properties is their family suites which are two rooms connecting. 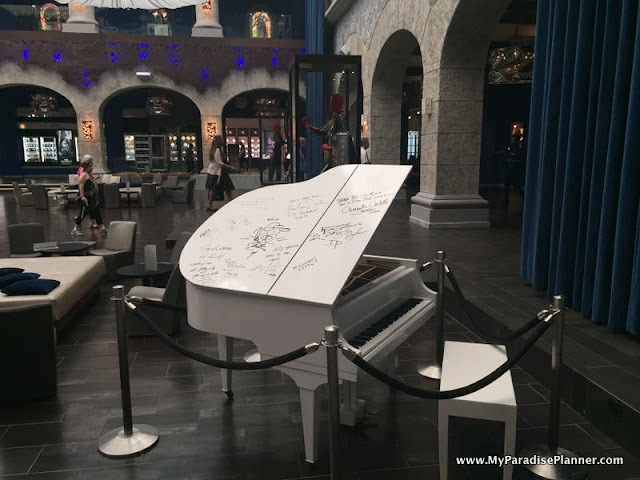 At most resorts these suites cost double what a regular room would cost, but Hard Rock offers some of the most economical family connecting-suites in the industry and for that alone they deserve a spot on this list. Traveling as a family can be expensive but some parents want the additional space for their families, so the Hard Rock offers the perfect solution. This is a great resort to bring your kids to when they've come to appreciate music and music history. If you have a child who loves a particular popular artist or get excited over your vintage collection of vinyl records, then this is a great place to visit as a family. If they know and appreciate artists from Prince to Britney Spears, they'll love the history at the Hard Rock. Many famous artists, like Bret Michaels and Nick Jonas, come down to these resorts to preform for the guests. 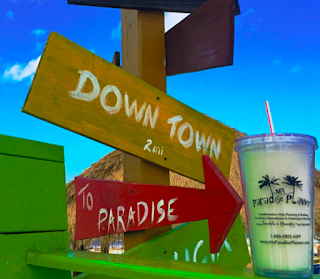 You could plan your trip around your favorite artists and you may just bump into them at the swim up bar or in a restaurant. One of my co-workers met Kool and the Gang on her last trip to Hard Rock Punta Cana. Parents can have their fun too. 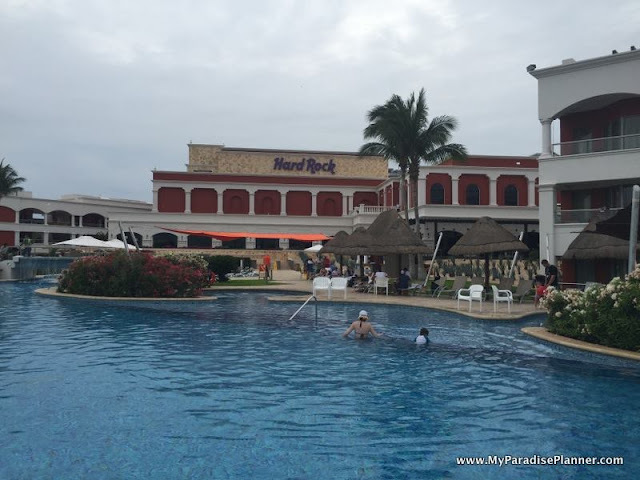 If you like gambling, check out the Hard Rock Punta Cana's huge casino. 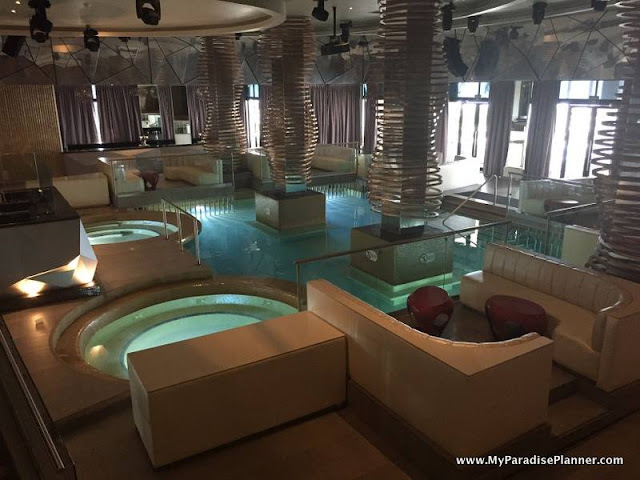 There are also some pretty interesting night clubs for adults at all the properties, including this one at Hard Rock Riviera Maya. We also love the fact that there are adult-only areas where parents can sneak away to if they feel the need. The rooms are great, food and drinks are great, and so are the shows. But above all of that, it's just a fun place to spend a week, especially if you'd love to hear Def Leppard playing at the swim-up bar. All-in-all, these are just a few of my personal favorites. 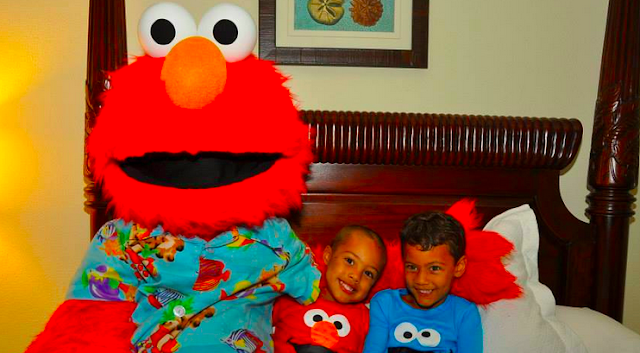 Keep an eye out for more featured family resorts coming soon! 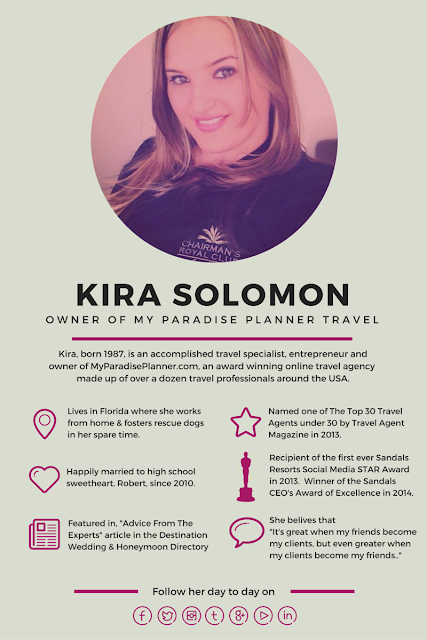 Have you been to any of these properties? Let me know what you thought about them in the comments below.